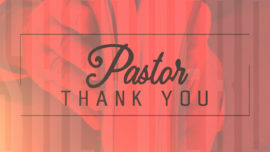 Pastor Appreciation is a great opportunity to show love and appreciation for your Pastor, for loving and serving your congregation so well. Our Pastors have answered a call few receive and carry a burden few can understand. 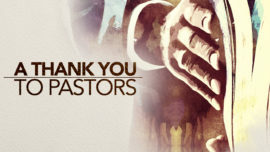 Today, take a moment to honor your Pastor and give thanks to God for their leadership, faithfulness and love for His people. Ever stop to think about the demands we place on our pastors? If we were to list them like a job description, even the most enthusiastic candidates would be wary! 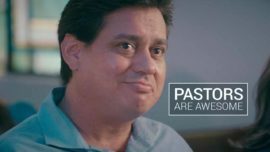 This video is a funny and touching recognition of these incredible people who do their best to point us toward Jesus- and a whole lot more! Perfect for Pastor Appreciation Month. Every purchase includes a version with a female pastor, in case that better suits your community. Pastors have answered a call few people have ever received. A calling which requires a sacrifice few people have ever had to make. Take a moment and honor your Pastor for answering that call, for teaching and leading the church and for giving their life to serve God.